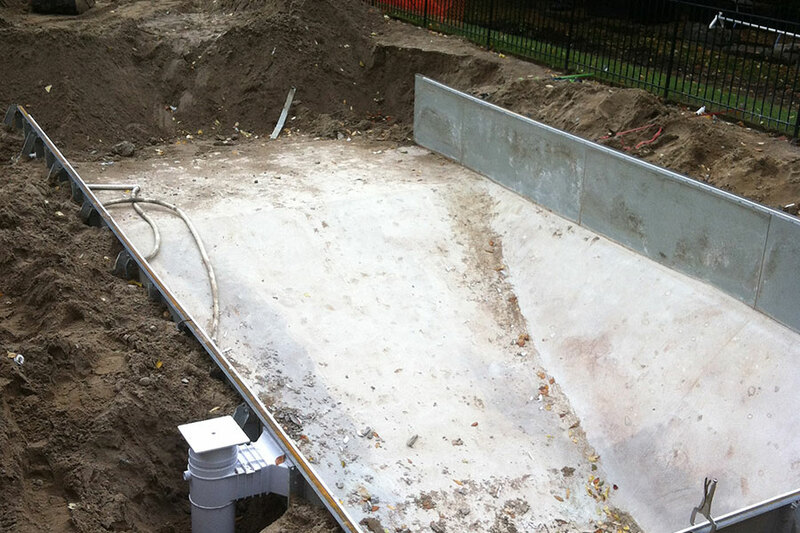 The backyard space before our project started. 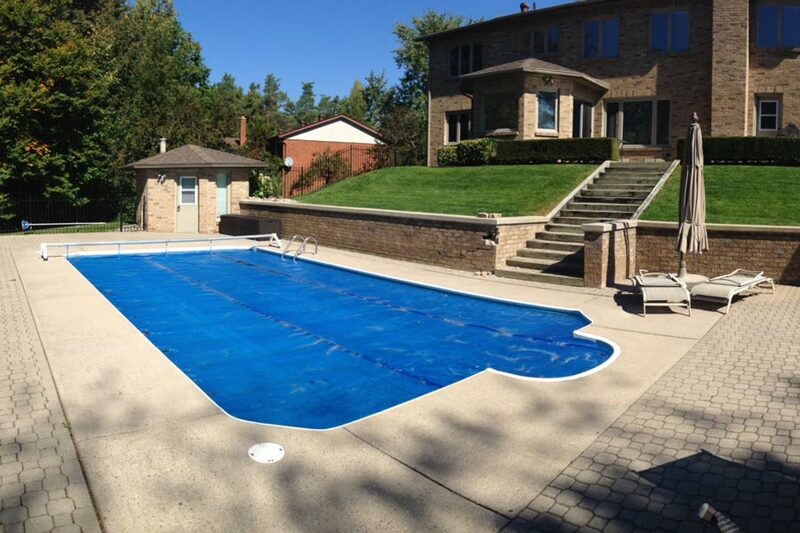 Both the yard and the pool area were in need of an updated look. 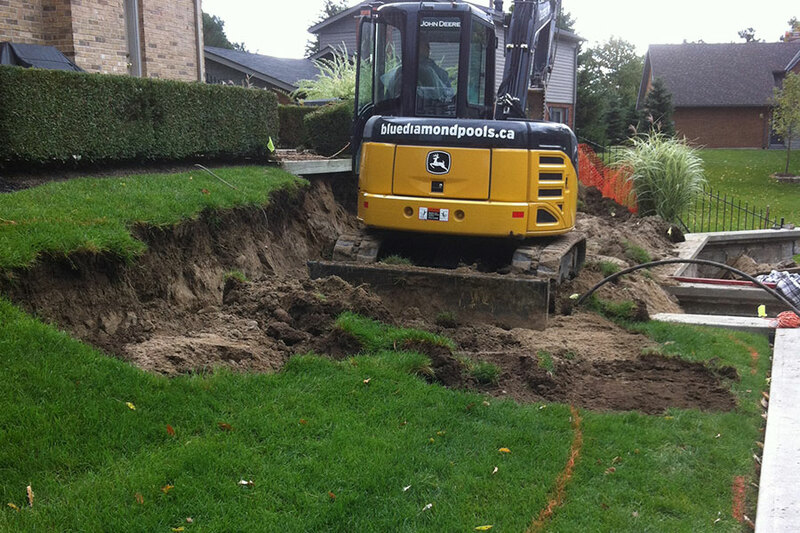 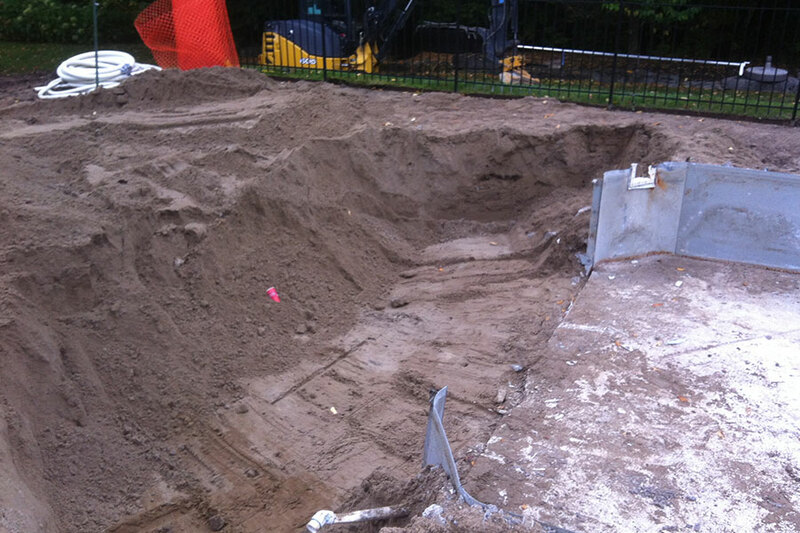 includes removal of old wooden stairs and excavation behind the masonry walls. 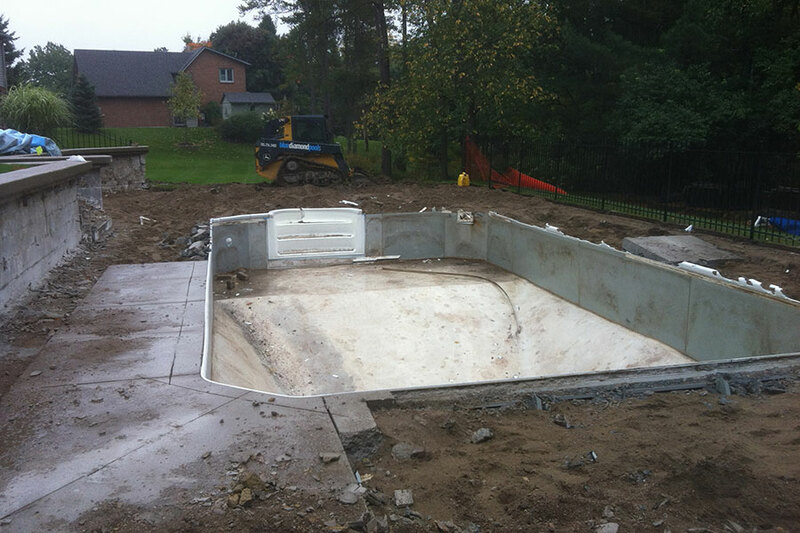 extend the shallow end and allow for new premium steps to be integrated. 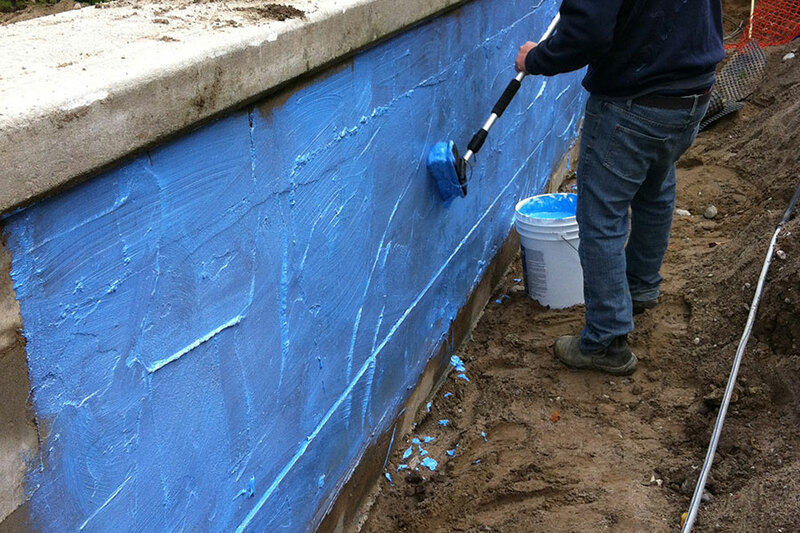 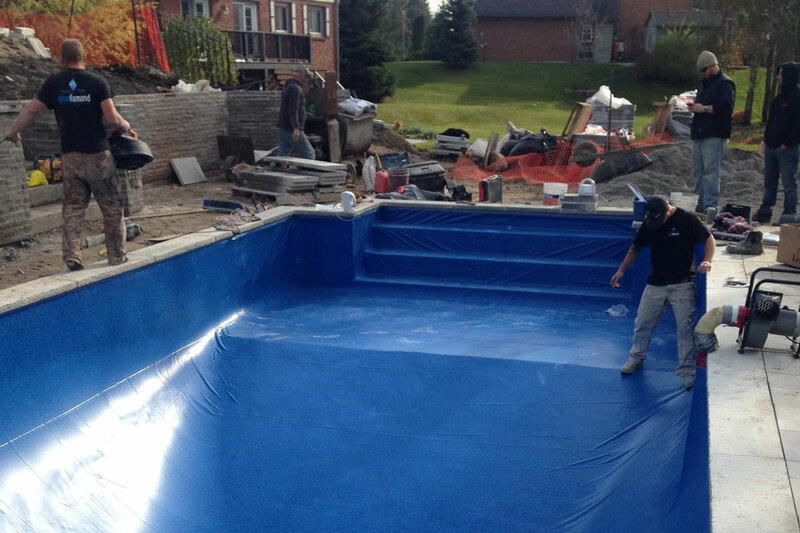 The next step of the process is to remove all the old, outdated patio sections around the pool. 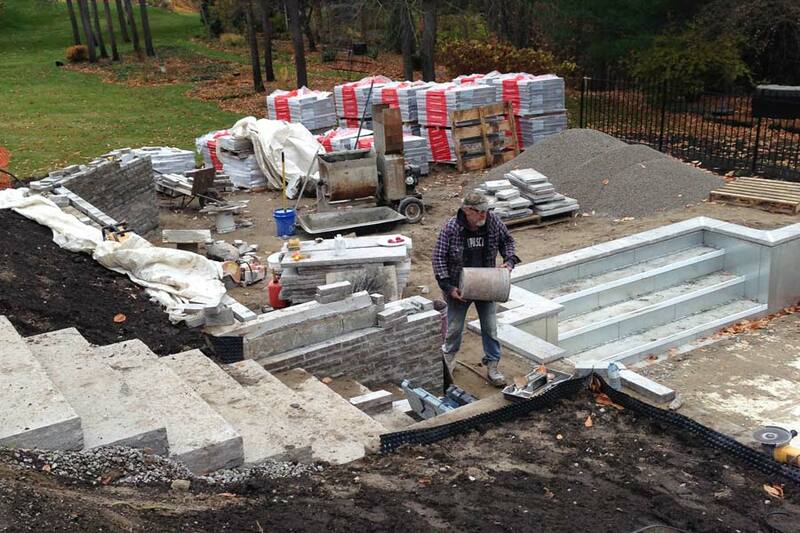 Masons are working hard on restoring the old masonry wall with a new natural stone face. 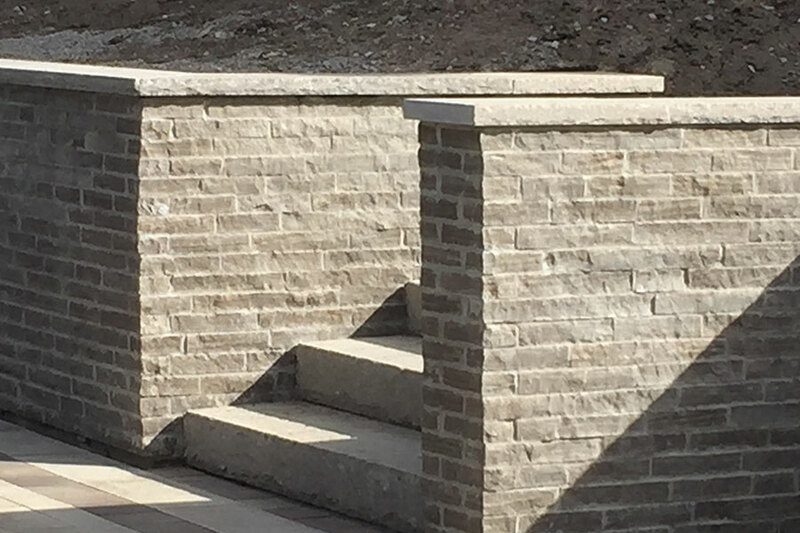 The revamped masonry wall, with new stone step inlays, provides a clean, modernized look to the backyard space. 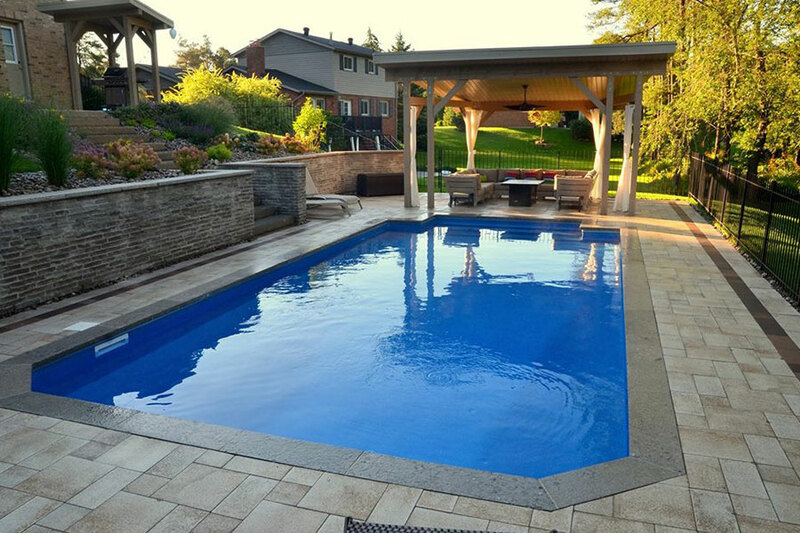 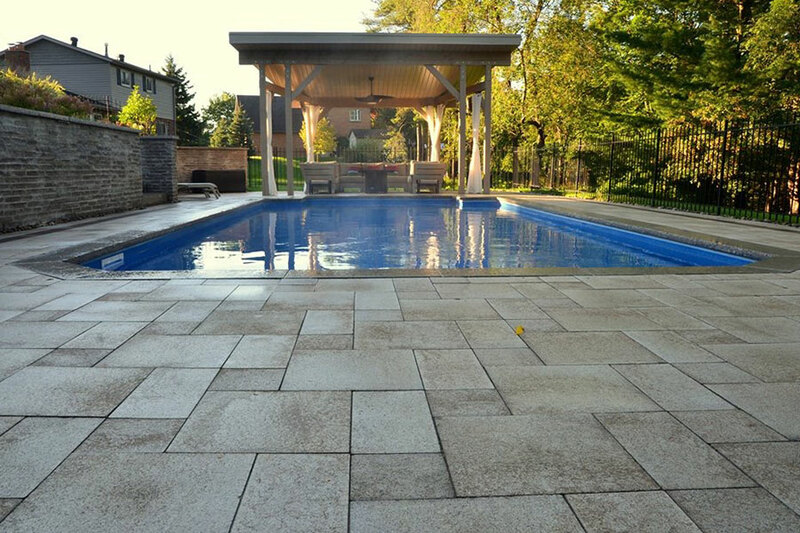 Using tried and true Blue Diamond techniques, we can line the pool with natural stone coping in order to create a unique and stylish look and feel. 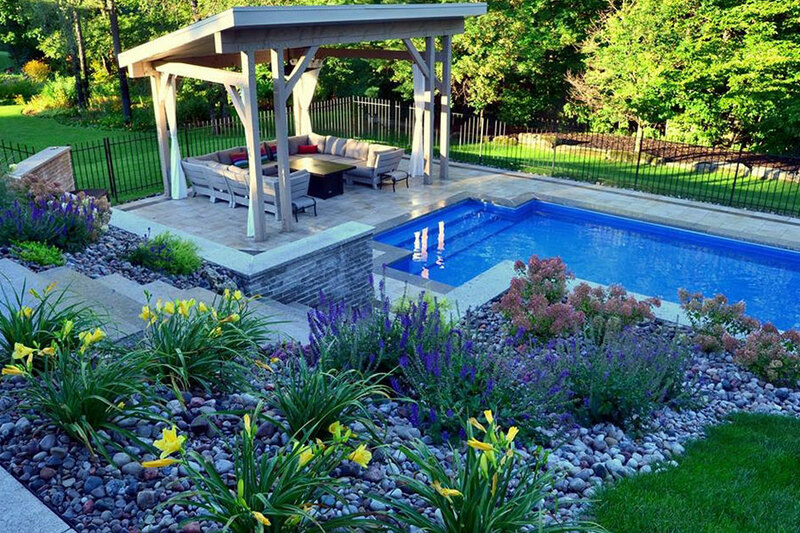 Our attention to detail results in a picture-perfect backyard retreat. 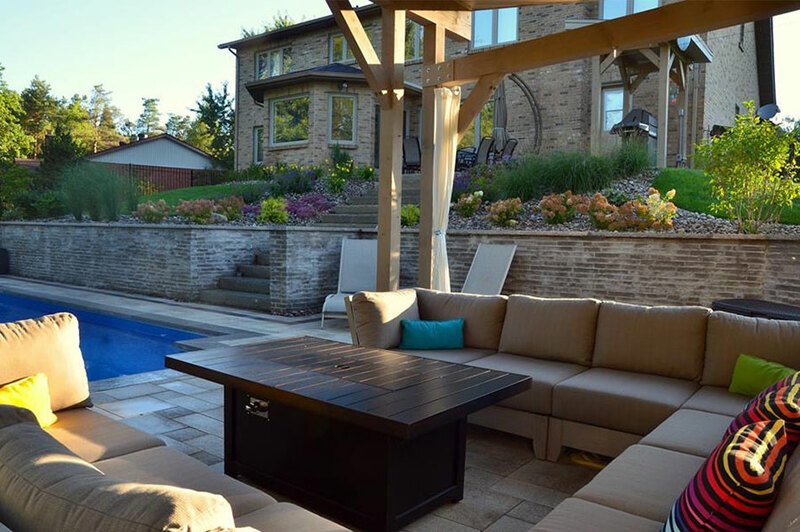 The client was thrilled with the results and excited to relax and unwind in their new space. 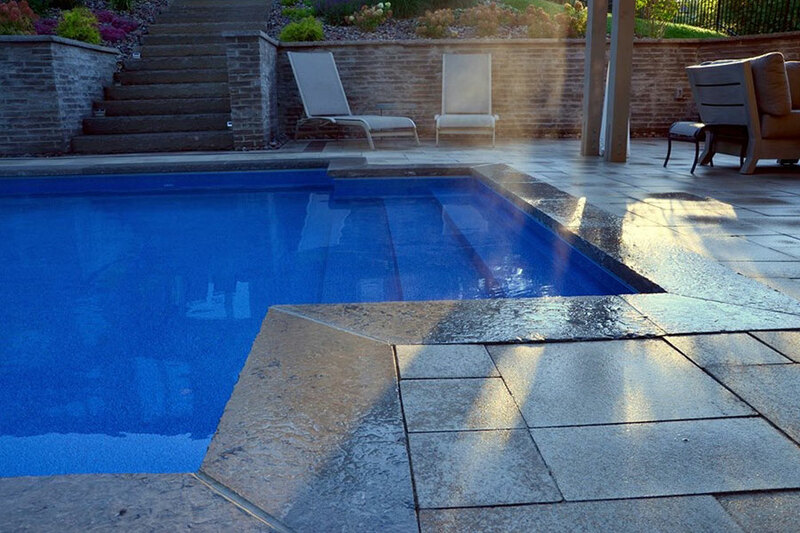 The result – a natural, elegant and well-designed custom-tailored to the client’s vision.